2016. Diebolt, Claude; Haupert, Michael (eds.). 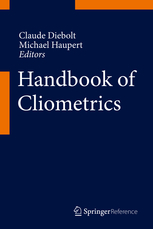 Handbook of Cliometrics, Springer Verlag. Berlin. 2013. Diebolt, Claude; Perrin, Faustine. 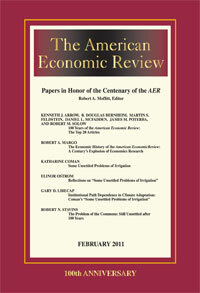 "From Stagnation to Sustained Growth: the Role of Female Empowerment", American Economic Review 103(3), (545-549). 2009. Azomahou, Théophile; Diebolt, Claude; Mishra, Tapas. "Spatial Persistence of Demographic Shocks and Economic Growth", Journal of Macroeconomics 31(1), (98-127). 2008. Diebolt, Claude; Parent, Antoine. "Bimetallism: the "Rules of the Game"", Explorations in Economic History 45(3), (288-302). 2005. Diebolt, Claude; Kyrtsou, Catherine; Darné, Olivier (eds.). 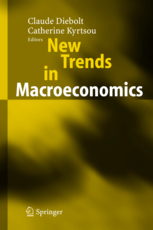 New Trends in Macroeconomics, Springer Verlag. Berlin. 2004. Darné, Olivier; Diebolt, Claude. "Unit Roots and Infrequent Large Shocks: New International Evidence on Output", Journal of Monetary Economics 51(7), (1449-1465).